A study released Tuesday by three universities show that severe flooding events, similar to Superstorm Sandy, are on the rise, and have increased by 300 percent in frequency between 1800 and 2000. The study, which conducted by Princeton University, Rutgers University, and the Woods Hole Oceanographic Institute, showed that storm surge climatology and sea level rise has reduced the period in between storms with Sandy’s flooding magnitude, by 300 percent between 1800 and 2000, and may be further reduced to the tune of 400 percent between 2000 and 2100. 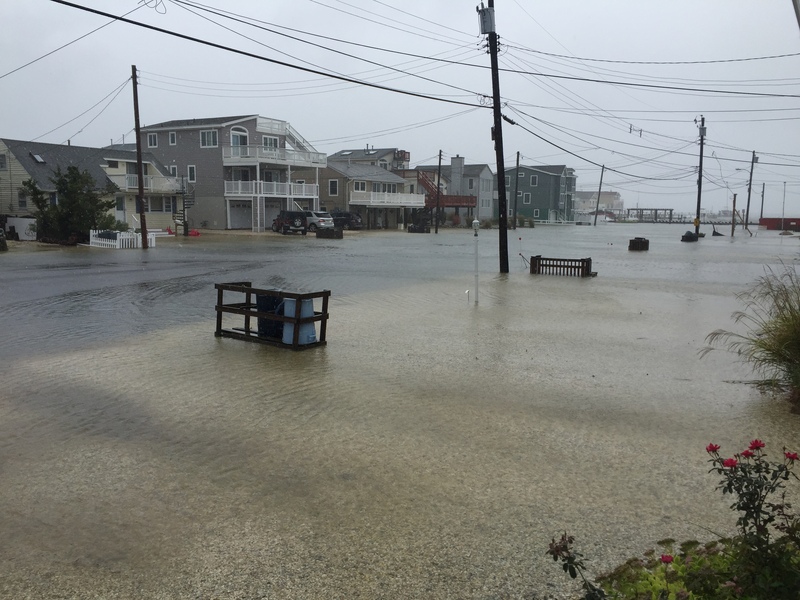 “Estimating the frequency of Sandy-like flood events, including how it changes over time, provides critical information for coastal risk mitigation and climate adaptation,” the study’s authors wrote. The study specifically looked at the New York City region’s flood hazard potential. As part of the probe, researchers studied documented accounts of storms dating back hundreds of years, and collected sediment samples that could produce clues about previous floods. In some cases, previous storms were found to have produced flooding even worse than what was experienced during Sandy. “Absolute maximum water levels cannot be directly estimated from these storm deposits, but at least six of these event beds are coarser than the event bed associated with Hurricane Sandy, which suggests that these events had more energetic currents and/or waves capable of transporting coarser material,” the study said. Storms in 1788 and 1821 both produced worse floods than Sandy, data showed, however the frequency between such events has increased over the study period as the types of storms that affect the region have changed, with tropical systems becoming more common in the North Atlantic. “With Hurricane Sandy as a pronounced example, a significant portion of tropical cyclones moving into high latitudes of the US Atlantic coast undergo extratropical transition; improved understanding of extratropical transition and its impact on surge hazard warrants future research,” the study concluded. The Sierra Club has advocated more buyouts of properties in flood-prone areas. State officials said interest in the state’s Blue Acres program, under which properties are bought out and restricted from further development, has been low in high-value coastal areas, such as barrier island and lagoon communities. The program has been implemented primarily in areas with lower property values, such as the Monmouth County bayshore region. In a separate study, Rutgers researchers predicted that the coast will see a 1-foot increase in sea level by 2050 that could rise up to 3-feet with ebb and flow.